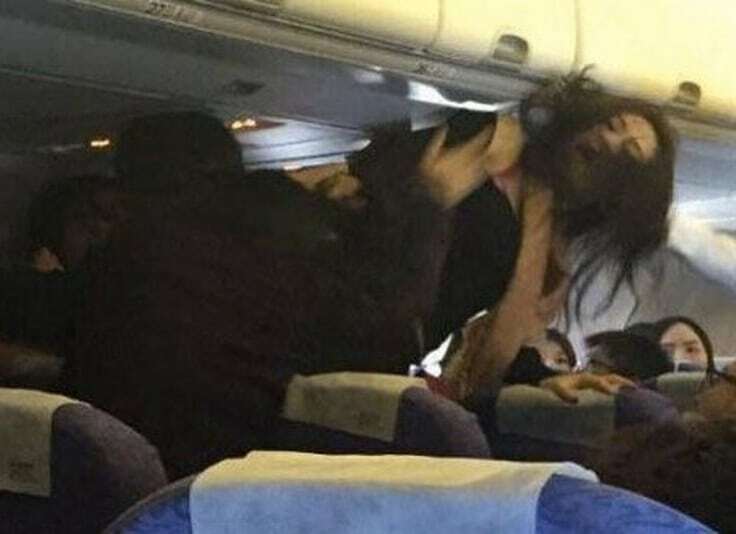 Russia’s Lower House (Duma) Committee for Legislative Work has upheld a proposal to increase fines for violent behavior on board passenger aircraft and for those refusing to comply with the captain’s orders. If the new bill is passed into law, the maximum fine for disobeying the captain’s orders would increase practically tenfold and become 40,000 rubles or about $645. The bill also introduces administrative detention for a period between 10 and 15 days as punishment for “air hooliganism” as well as fines between 30,000 and 50,000 rubles ($483-$806) for petty disorderly behavior on air transport. The motion was developed by the Justice Ministry and drafted in the State Duma in March this year. Its authors said that they considered changes necessary because violent behavior on air transport poses a great threat to society and also because inflation had made the existing fines too small. They also pointed to the increase in the number of such incidents from about 7,200 in 2015 to about 8,000 in 2016 and said that the trend was too dangerous to be left unchallenged. The only part of the draft that caused objections among the members of the committee was the license to aircraft crews to confiscate “the medium containing photos and videos” from passengers who violate the onboard rules on taking photographs and recording video. One of the MPs said that it would unjust if anyone who photographs something beautiful from the aircraft window had their phones seized. Representatives of the Justice ministry promised to make corrections to the document before the parliament starts its first hearing into it. In June, Russia introduced a law making various acts of hooliganism connected with transport a criminal offense punishable by up to eight years in prison. The new law ordered the same punishment for these violations as for other acts of hooliganism – from a monetary fine ranging between 300,000 and 500,000 rubles ($4,800-$8,050) to a prison term of up to eight years. The new bill also introduced a new type of crime named “activities driven by hooliganism that threaten safe use of various means of transport.” This includes behavior such as riding outside commuter trains, or ‘train surfing’ (usually on coupling links of railway cars), blinding aircraft pilots with laser pointers, and throwing stones at moving buses. The punishment for such behavior is set as a fine between 150,000 and 300,000 rubles ($2,420-$4,800) or a prison term of up to two years. The new bill also allows airline companies to create and use “black lists” of citizens who can then be refused permission to board an aircraft because of their history of brawls or other violent behavior. Representatives of the Russian flagship airline Aeroflot have earlier told reporters that their company already has such blacklist with 3,500 names on it.